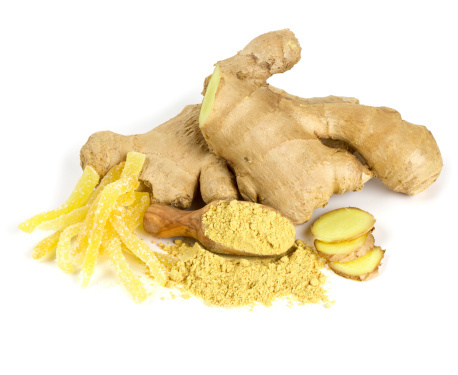 Gingerroot has been known for its use as a spice in food preparation and for its many medicinal uses for centuries. This herbal product is touted for its many positive effects upon human health, including aiding digestion, improving immunity, and lowering inflammation. Recently, however, more evidence has surfaced indicating that this delicious herb can also stabilize blood sugar levels. New research out of Iran shows that the use of ginger can actually lower blood sugar levels in people suffering from type 2 diabetes. The prevalence of type 2 diabetes has rapidly increased over the last decade with the concurrent changes in diet and lifestyle attributed to Westernized countries. The report is based on the data from 88 people who were diagnosed with type 2 diabetes and had been living with the disease for 10 years. This group was randomly given either three grams of ginger powder in capsule form daily or a placebo capsule. In just eight weeks, those who had taken the ginger had experienced a decrease in fasting blood sugar from 171–150 mg/dl. In comparison, the group who had received the placebo treatment experienced a generalized increase in their fasting blood sugar levels. Ginger can decrease blood sugar via various proposed mechanisms, including possible effects upon liver enzymes, which convert stored glucose in the form of glycogen into free glucose that can enter the bloodstream. Ginger can also improve blood sugar from its direct effects upon insulin receptors on our cells. Ginger is also a powerful anti-inflammatory agent that can decrease levels of inflammation, which adversely affects insulin sensitivity. The intake of ginger may also affect the absorption rates of glucose from our food. Certain spices like ginger have been shown to slow the absorption of glucose from the foods we consume. The slower rates of absorption cause lower blood levels of insulin and better control of blood sugar regulation. If you have type 2 diabetes and you want better control over your blood sugar despite the fact that you are taking medications, you may want to consider ginger. Three to four grams of fresh ginger daily may be all it takes to experience the full therapeutic effects. Consult with your professional healthcare provider first, though, as ginger can act as a natural blood thinner and may react negatively with certain medications. “Ginger Shown to Lower Blood Sugar,” Prevention web site, April 15, 2014; http://www.prevention.com/health/diabetes/ginger-shown-lower-blood-sugar-diabetics.